Winter Carnival is upon us and with it a plethora of fun and exciting activities for the whole family. One of the most anticipated events during the carnival is Kanien’kehá:ka Onkwawén:na Raotitióhkwa Language and Cultural Center’s (KOR) Tetewatierónnion variety show, which features an array of different acts performed in its entirety in Onkwehonwehnéha. A call for talent was sent out to the community in January and students from all age groups as well as their parents answered. “We had Ratiwennahní:rats (Mohawk immersion program at KOR) students who performed. We had two classes of them. We had the Language Nest (Iakwahwatsiratátie) that participated with the parents and the children. We had Kateri School and Karonhianónhnha,” said Phillips. The participants had to come up with their own ideas for the show and were encouraged to be creative. Many acts included song and dance and some performed parodies and sketches. If there was a theme, it was a comical one as loud laughter could be heard throughout the performances. Before the event, Phillips explained that although the goal of the variety show is to have fun and bring the community together through the language, some of the participants take it very seriously. “A lot of the acts are skits and usually funny and every year, especially with the Ratiwennahní:rats, they try to outdo the previous year. It’s like a bit of a competition to see who has the best skit, the funniest skit,” she said. 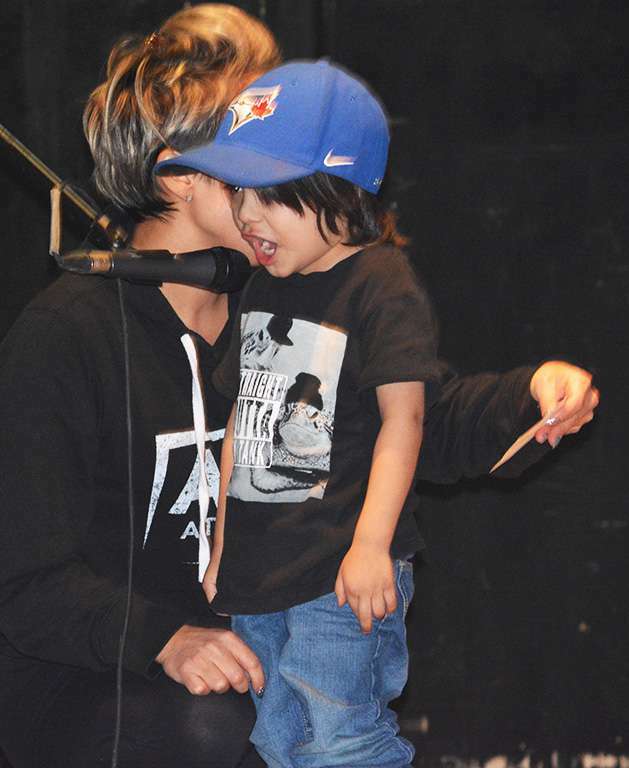 The first part of the production was filled with an abundance of cuteness, which included babies and little kids dress up, and singing along in Onkwehonwehnéha with their parents. The crowd melted at the sight. One young mother said, “This is my third year attending the show. It is very nice. I love it. Seeing the babies and they are all singing and participating, it’s enjoyable. The language and the culture are very important, to keep it going and keep it strong,” she said. 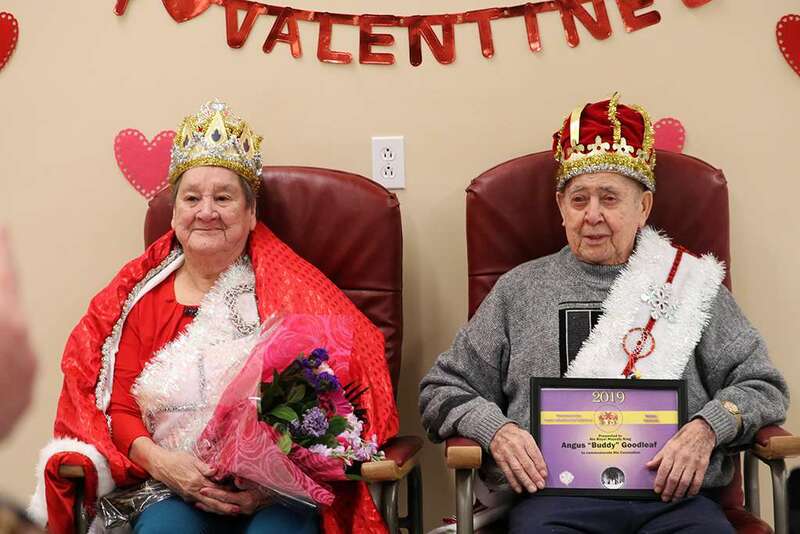 The Elders’ Luncheon happened yesterday in the Kahnawake Turtle Bay Elders’ Lodge to determine the king and the queen, highlighting their life accomplishments. The Kahnawake Youth Center organized the event for the elders, to represent two individuals who are keepers of the language, and have strong connection to the community. “Even though their lives are a little bit different, I find they both represent strong people of Kahnawake who brought many things to this town,” said Brent Horne, activity day center worker. Janice Patton, a day centre nurse and one of the organizers, announced the names. “Buddy and Marion, congratulations to both our snow king and snow queen!” she proclaimed. Patton said the snow queen, Marion Beauvais, has been living in Kahnawake, for most of her life and has three children, Peter, Jacqueline and Kathy, and eight grandchildren. “This lady had a few jobs in her lifetime. 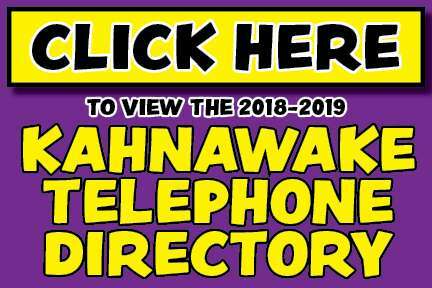 One of her main jobs was working for Kahnawake social services, which is now call Kahnawake Shakotiia’takehnhas Community Services,” she said. She was a frontline worker, a home health aide between 1988-2014, and received her certificate in home care in 1993. She worked for many families in Kahnawake, caring for them and helping them in their homes, Patton said. “She comes to day center regularly, enjoys socializing, playing cards and bingo, as well as going on outings,” she said. Beauvais, 83, said she is happy being chosen as winter queen of 2019. Patton had an opportunity to speak with the family of this year’s snow king, Angus Buddy Goodleaf, and to learn a little bit about him. In 2017 he was awarded the Rita McComber memorial volunteer award and volunteered as the scorekeeper for the Kahnawake Mohawks lacrosse team for many years. And in November 2017 he was awarded the Senate 150th Anniversary Medal. This gentleman was one of the original members of the Kahnawake Fire Brigade (KFB) and participated in developing the ambulance service, said Patton. “He is an honourary lifetime member of the KFB and a lifetime member of the Knights of Columbus,” she said. Goodleaf was one of Kahnawake’s first entrepreneurs, who owner of Goodleaf’s Garage and Auto since 1959, and still does today, Patton continued. “He is a father, grandfather, a great grandfather, and a great great grandfather. Five generations! Wow!” she said. Goodleaf’s son Mouchie Goodleaf was excited his dad was chosen as the winter king 2019. “I am honoured that they decided to choose my dad because it makes him happy, and also the whole family is happy for him,” he said.